Custom software patches and configuration. Full custom configuration and software assistance. The 3174 provides connectivity for token-ring or Ethernet LANs, parallel or ESCON fiber-optic channels, TP links, and CCITT X.25. As you're planning for multiprotocol network convergence, take a look at the IBM 3174 Network Processor with Configuration Support C.
Today's 3174, with its full range of communications adapters, can provide the seamless and nondisruptive link between your mainframes, personal computers, local and wide area networks, and departmental processors: all across the most commonly used protocols. In short, you'll be able to leverage the investments you've already made while moving toward the network environments you'll need tomorrow. When you invested in your current 3174, you were probably unprepared for the pressures of converging multiprotocol networks. But your network needs to grow just as your business does. With such an investment in existing hardware, how can you migrate your network without incurring major costs? Fortunately, there's a practical and affordable solution. And it may already be installed in your network. It's today's IBM 3174. The 3174 has long been a cornerstone of corporate communications. If you see the 3174 as no more than a networking server for 3270 terminals, take another look. Because the 3174 offers you more today. The 3174 is designed to meet your current and future requirements, providing support to a wide range of systems and protocols: SNA, APPN, TCP/IP, token ring, Ethernet, ESCON*, ASCII, AS/400, X.25, and frame relay. From a single terminal, you can have up to five simultaneous sessions to access multiple hosts through 3174 functions like multiple logical terminal and multiple host connections. You can have mainframe host, ASCII, AS/400, or TCP/IP sessions simultaneously. You can now route remote TCP/IP traffic using your existing 3174. The 3174 supports TCP/IP with Telnet and TN3270. SNMP management is also provided. It's an efficient and cost-effective way to migrate into open system environments, protecting your investments in equipment and improving your users' productivity. With IP routing, your 3174 can act as an IP router between LAN-attached devices and a frame-relay network. IP routing is provided through RPQ 8Q1289, a no-charge feature that runs on Configuration Support C Release 5. Using a predefined route table, the 3174 can send traffic to other routers and 3174s to reach IP hosts on remote subnets and networks. Also, a default router can be customized in the 3174 so that traffic for subnets not in the table can be routed to a dynamic router like the IBM 6611 Network Processor. You can save money by using 3174s for routing and consolidating SNA and IP connections. The new 3174 routing capabilities make it similar to some of the low-end static routers currently in the marketplace. But with a 3174, you can provide routing on a product that you probably already have installed. One that provides the function concurrently with SNA, APPN, LAN gateway, and traditional 3270 subarea applications. You can now connect your 3174 to an Ethernet LAN to create a more global network linking your users and computing resources. Such a global network can improve response times and lower costs. The 3174 can be attached to a token ring to provide access to TCP/IP, APPN, or SNA protocols. The 3174 even enables LAN connections made over existing coaxial wiring, allowing migration to a LAN environment without the costs of rewiring or adding token-ring adapters to your personal computers. The 3174 provides APPN network node functions. APPN lets you consolidate multiple networks serving diverse processor platforms into a single, high-performance, cost-effective peer topology network. Now, you can easily distribute applications across mainframes, PS/2* computers, AS/400 systems, and RISC System/6000* processors within an APPN network. And you'll also be able to take advantage of dynamic, nonhierarchical route optimization and dynamic network configuration definition. Together, 3174 and the VTAM* program support traditional 3270 LU2 traffic natively just as they always have and always will. But with dependent LU server/requester (DLUS/DLUR) support, the 3174 and VTAM extend the dynamic routing benefits of APPN to dependent displays. DLUS and DLUR calculate the best route for the 3270 session data. This route is determined by factors like the type of line, speed of the line, security, and congestion. Once the route is selected, the 3270 data stream is natively routed, not encapsulated, over the APPN network. Traditional 3270 traffic and dynamically routed 3270 traffic can coexist in the same network. And in parts of the network where the migration to APPN has not occurred, 3270 sessions work the same way they always have. With DLUS and DLUR, you can take advantage of the benefits of APPN without having to change your existing 3270 applications or replace your large inventories of dependent displays. The 3174 can transport multiple protocols, such as IPX**, NetBIOS, TCP/IP, SNA, and APPN, over a frame-relay network. This gives you the converged network capability you'll need. The IBM 3174 is an Establishment Controller that provides a broad range of connectivity options, workstation and host attachment possibilities, network asset management capabilities, and expandability features. In addition to options that allow host connections via both local channel and remote communication link connections, the 3174 can connect to the IBM Token-Ring Network or Ethernet LAN Networks (IEEE 802.3 and Ethernet DIX Version 2). The 3174 can connect to an ASCII host, an AS/400, APPN network as well as provide the 3270 Display Controller function. The IBM 3174 ISDN Interface Adapter is available to enable attachment to ISDNs. The 3174 Model 11L is a floor-standing local channel controller that supports the System/370-architecture channel interface for SNA and non-SNA attachment. The Model 11L supports up to sixty-four 3270 devices and twenty-four ASCII devices. The 3174 Model 11R is a floor-standing remote controller that supports the EIA 232D/CCITT V.24/V.28 or CCITT V.35 interfaces for SDLC, BSC, or X.25 remote link attachment. The Model 11R supports up to sixty-four 3270 devices and twenty-four ASCII devices. The 3174 Model 12L is a floor-standing local channel controller that supports the Enterprise Systems Connection (ESCON*) Channel interface for SNA and non-SNA attachment. The Model 12L supports up to sixty-four 3270 devices and twenty-four ASCII devices. The 3174 Model 12R is a floor-standing remote controller that support the CCITT X.21 interface for SDLC or X.25 attachment. The Model 12R supports up to sixty-four 3270 devices and twenty-four ASCII devices. The 3174 Model 13R is a floor-standing remote controller that supports the IBM Cabling System interface for IBM Token-Ring Network attachment. The Model 13R supports up to sixty-four 3270 devices and twenty-four ASCII devices. The 3174 Model 14R is a floor-standing remote controller that supports the 10Base5, 10Base2, and 10BaseT interfaces for IEEE 802.3 and Ethernet DIX Version 2 network attachment. The Model 14R supports up to sixty- four 3270 devices and twenty-four ASCII devices. The 3174 Model 21L is a rack-mounted local channel controller that supports the System/370-architecture channel interface for SNA and non-SNA attachment. The Model 21L supports up to sixty-four 3270 devices and twenty-four ASCII devices. The 3174 Model 21H is an administrative model that facilitates ordering and distributing the 3174 Model 21L with an ES/9000* Model 120, 130, 150, and 170 processors. The 3174 Model 21R is a rack-mounted remote controller that supports the EIA 232D/CCITT V.24/V.28 or CCITT V.35 interfaces for SDLC, BSC, or X.25 remote link attachment. The Model 21R supports up to sixty-four 3270 devices and twenty-four ASCII devices. The 3174 Model 22L is a rack-mounted local channel controller that supports the Enterprise Systems Connection (ESCON*) Channel interface for SNA and non-SNA attachment. The Model 22L supports up to sixty-four 3270 devices and twenty-four ASCII devices. A Type 1 Teleprocessing Communication Adapter with a customer-provided communications cable for Alternate IML backup capability is provided. The 3174 Model 23R is a rack-mounted remote controller that supports the IBM Cabling System interface for IBM Token-Ring Network attachment. The Model 23R supports up to sixty-four 3270 devices and twenty-four ASCII devices. A Type 1 Teleprocessing Communication Adapter with a customer-selected communications cable for Alternate IML backup capability or remote Token-ring gateway support is provided. The 3174 Model 24R is a rack-mounted remote controller that supports the 10Base5, 10Base2, and 10BaseT interfaces for IEEE 802.3 and Ethernet DIX Version 2 network attachment. The Model 24R supports up to sixty four 3270 devices and twenty-four ASCII devices. A Type-1 Teleprocessing Communications Adapter with a customer- selected communications cable for Alternate IML backup capability or remote Ethernet gateway support is provided. The 3174 Model 61R is a shelf-mounted remote controller that supports the EIA 232D/CCITT V.24/V.28 or CCITT V.35 interfaces for SDLC, BSC, or X.25 remote link attachment. The Model 61R supports up to sixteen 3270 devices and eight ASCII devices. The 3174 Model 62R is a shelf-mounted remote controller that support the CCITT X.21 interface for SDLC or X.25 attachment. The Model 62R supports up to sixteen 3270 devices and eight ASCII devices. The 3174 Model 63R is a shelf-mounted remote controller that supports the IBM Cabling System interface for IBM Token-Ring Network attachment. The Model 63R supports up to sixteen 3270 devices and eight ASCII devices. The 3174 Model 64R is a shelf-mounted remote controller that supports the 10Base5, 10Base2, and 10BaseT interfaces for IEEE 802.3 and Ethernet DIX Version 2 network attachment. The Model 64R supports up to sixteen 3270 devices and eight ASCII devices. The 3174 Model 90R is a shelf-mounted remote controller that supports the IBM Cabling System interface for IBM Token-Ring Network attachment in a gateway configuration. The 3174 Model 91R is a shelf-mounted remote controller that supports the EIA 232D/CCITT V.24/V.28 or CCITT V.35 interfaces for SDLC, BSC, or X.25 remote link attachment. The Model 91R supports up to eight 3270 devices. The 3174 Model 92R is a shelf-mounted remote controller that support the CCITT X.21 interface for SDLC or X.25 attachment. The Model 92R supports up to eight 3270 devices. The 3174 Model 95R is a shelf-mounted remote controller that supports the EIA 232D/CCITT V.24/V.28 or CCITT V.35 interface for SDLC, BSC, or X.25 remote link attachment. The Model 95R supports up to thirty-two 3270 devices. APPN routing is provided for Dependent LUs for 3270 terminal and printer applications. This Dependent LU Requester function is used in conjunction with the Dependent LU Server function. Management Services of the 3174 APPN NN has been extended to communicate with a Network Management Focal Point using an LU6.2 session and Multiple Domain Support for transport. The APPN NN support has been extended to provide T2.1 link connectivity across an X.25 network. As a DTE, the 3174 provides APPN networking services and routing to VTAM/NCP hosts, APPN Network Nodes, APPN End Nodes, or LEN End Nodes in an X.25 network. The APPN NN support has been extended to provide T2.1 link connectivity across a Frame Relay Network with up to 225 PVC's. This is in conjunction with Frame Relay Communications feature. The requirement for LAN adapter for APPN feature is removed. The 3174 NN interoperates with other APPN functions such as Border Nodes of AS400 and VTAM and Central Directory in VTAM. Supporting Frame Relay communications for the 3174 over the primary communications link using RFC 1490 for multiplexing multiple protocols over a single PVC. Supporting 802.2 standard for SNA and APPN communications and communications with NCP Frame Relay TE and other products. Support for higher speed WAN communications, up to 256Kbps, for the primary communication link for X.21 and V.35 Frame Relay communication. Support for higher speed communications (up to 256 Kbps) for X.21 and V.35 for SDLC communications. Enhancements of the 5250 Emulation support. MLT support for 3174 coax attached printers to support up to 5 host sessions. Extended AEA attached device support to support access to hosts that are attached via the Concurrent Communication Adapter or via the 3174 Single Link Multihost support. Concurrent multiple CECP language support. Printer sharing among multiple PS/55 multistations without host intervention. Configuration Support-C Release 4.0 is applicable only to 3174s with Ethernet capability (example: a 3174 with feature code 3045). The latest Configuration Support-C functions for non-Ethernet 3174s is provided by Configuration Support-C Release 3.0. 3174 Network Node (NN) compatibility in environments where the host is a LEN (Low Entry Networking) node, APPN EN (End Node), APPN NN, Migration Data Host (MDH), or an Interchange Node (IN). Support for multiple links into a LEN subarea from an APPN network comprised of 3174s or other APPN nodes. Support for the transfer of 3270 and APPN data streams across a single SDLC link between a 3174 and an AS/400. TCP/IP Telnet Support provides Telnet client function for the IBM 3174 Establishment Controller. This support allows interactive access to remote TCP/IP hosts/servers from dependent 3174 attached terminals. Control Unit Terminal (CUT), ASCII, and Distributed Function Terminal-Extended (DFT-E) terminals can communicate directly with TCP/IP hosts/servers. This function was previously provided via RPQ 8Q0935. Configuration Support-C Release 3 makes it possible for devices attached to the 3174 via the Port Expansion Feature (FC 3100) to access a secondary host via the Concurrent Communication Adapter. In the past, devices attached to ports 32 to 63 could not access applications running on a secondary host link through the Concurrent Communication Adapter, while devices attached to ports 0 to 31 could access applications running on either the primary, secondary, or both host links. With Configuration Support-C Release 3, devices attached to ports 32 to 63 have the same host link access capabilities as devices attached to ports 0 to 31. A maximum of 160 sessions can be customized for each Concurrent Communication Adapter. This function was previously provided via RPQ 8Q0931 for Configuration Support-B only. Configuration Support-C Release 3 also makes it possible to assign a HAP printer (Host Addressable Printer) to a host other than 1A in a Single Link Multihost (SLMH) environment. The HAP printer may be assigned to any host (1A through 1H) that is accessible via the 3174's primary host link. Configuration Support-C Release 3 also adds 3270 terminal support for Eastern European languages, keyboard IDs, code pages and character sets. MLT Enhancements including Delayed Host Notification for secondary logical terminals and implementation of a LTA table. 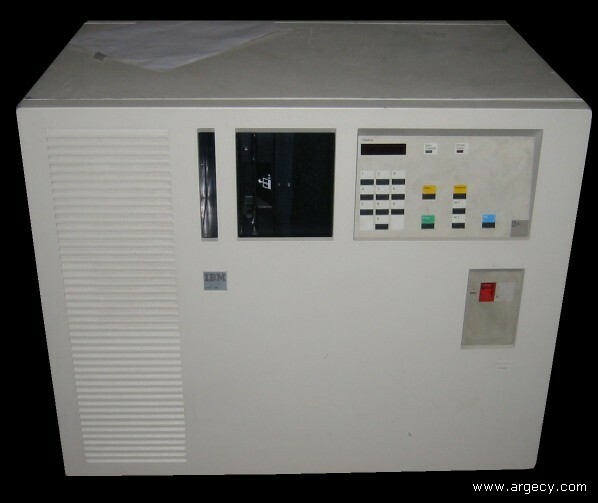 3174 Model 95R is a self-contained, non-featureable product. 3174 Model 95R offers a small table-top package which provides reduced network operating cost including physical space needs, power, and cooling requirements. 3174 Model 95R provides the latest 3270 End-User productivity tools and Network Management functions, along with Simplified Customization. The 3174 product family is structured into models to provide ease of ordering. The proper model can be selected by asking two basic questions: How many devices must be supported? What is the primary communications attachment? With the answers to these questions, the proper model can be determined using the 3174 Model Selection Table below. The number of devices will determine the packaging type required. The primary communications attachment will determine which model in the package type group to order. NOTE:  22R is available only in EMEA. # Not applicable to some early 51Rs and all 52Rs. *** See Diskette Capacities description under Special Feature #1048. @@ Only when using Configuration Support-B or C, 4MB otherwise. % Maximum of eight only with Port Expansion Feature (#3100) installed. Trademarks(R), (TM), * Trademark or registered trademark of International Business Machines Corporation.